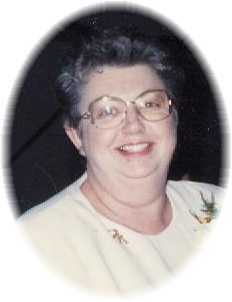 Cynda Jo Douglas (Dodge) passed away peacefully with her family at her side on March 30, 2019. She was born September 27, 1938 to Mildred and Harvey Douglas in Spearfish, SD where she spent her early years. Horseback riding with her friends was her passion. They covered so many miles during the week, that her mother made her rest her horse on Sunday! At age 9, she lost her father, after which her mother returned to teaching, taking positions in Gold Creek, Broadus, and finally Miles City, MT. Cynda graduated from Custer County High School in 1956 and attended Black Hills Teachers College, earning her teaching certificate. Her first teaching position was at the Monte School, south of Miles City where she met James Dodge who worked on the nearby Tonn Ranch. They were married July 1959. In their early years, they ranched and worked near Park City, MT. In 1964, they joined the ranching crew at the Ball Ranch south of Miles City. Kelly Jo was born in 1966 and Alan James in 1969. Cynda was a woman of many hobbies and talents, producing exquisite, blue ribbon art work in a variety of areas such as beading, carving, and oil painting–anything she touched turned into a thing of beauty! During her time on the Ball Ranch Cynda became a licensed EMT and used her skills on ranch hands, friends and strangers. She was an accomplished writer having been published in local newspapers and magazines. One thing that anyone having met Cynda knew was her love of all animals. She would tend to domestic and wild animals alike. Her love for dogs was like no other, training and showing dogs with her children was something she cherished. After many years as a ranch wife and mother, she returned to Spearfish until her failing health brought her back to Montana so she could be close to her children and grandchildren. Her gardening talents could be seen when driving by Friendship Villa on Wilson where she maintained a flower garden outside her window. Just a few days before she passed, she was planning to plant more pansies this spring. Cynda was at peace the last few days of her life, laughing with her family and enjoying the many visits from her caregiver friends. A special visit from Hudson, a Golden Retriever, gave her a taste of Heaven that was soon to come. She fought a long battle with ill health and was tired and ready to go Home. She is survived by her children, Kelly Tarr and Alan Dodge (Angie); grandchildren Tyler and Kylie of Miles City; sister Shirley and niece Paula of Bozeman, MT; James Dodge of Miles City and lifetime friend, Johanna Della Vechia of Spearfish, SD. Should friends desire, memorials can be made to Custer County Fund for Animals. Thank you for sharing her with us at the friendship villa. She will be missed. Kelly, Allen and grandkids….I am truly sorry for your loss. She will always hold a spacial place in my heart. We have fond memories of your family while we were neighbors on the Tongue River. I remember how much Cynda loved her children and her animals. Kelly and Alan, you have taken such good care of your mom. Cherish the good memories of the time you spent with her. Alan, Kelly and families…you are in our thoughts and prayers. Please let us know if we can be of assistance in any way. Alan, Kelly and families, sorry to hear of your loss you are in our thoughts and prayers. So sorry to hear about your mom. We will keep u in our thoughts and prayers. Kelly, Alan and family. I was so sorry to hear of your mom’s passing. Thoughts and prayers for you all during this difficult time. She was a nice lady. Was sorry to hear of the loss of your Mom. We are still in Yuma so I am sorry I will not be there to attend her services. Thinking of all of you with sympathy, share my thoughts with your Dad as well. Such good memories of your Mom and the time we spent as neighbors. I loved coming to your house and seeing the latest picture she had painted. She was a very talented lady. It was always amazing to see how much hay she could swath in a day. I still have the bluebell plants she gave me, and will always think of her when they bloom. Find comfort in your memories. So sorry for the loss of your mom. She was a nice lady and I have fond memories of times visiting with her when she lived on the Tongue River. Our thoughts and prayers are with you at this sad time. I am so sorry for the loss of your mom. Keep the good memories close and remember her at her best. She was very proud of all of you. You are all in my thoughts and prayers. Kelly, I did not know your Mother but in reading her obituary I can see where you got your talent for working with and training dogs as well as your genuine loving care of others. Cherish your wonderful memories. You are in my thoughts. So sorry for your loss we are never ready for our loved to leave us!! So sorry for the loss of your Mom. Cherish and hold tight to all the memories you share! A life to be celebrated and remembered. Stories and lessons which transcend family. Be at peace. I’m deeply sorry to hear of your mother’s passing. She is at rest with the Lord and at peace. We just can’t keep these precious loved ones forever, unfortunately. God shared them with us until He calls them home. God bless you Kelly & your family. Kelly, Allen and family, sorry for your loss. Will always remember your mother while living at the Briscoe and Ball Ranch. She made the best peanut butter sandwich’s for Lou and I when we would get off of the school bus there sometimes. I was young when my family lived on the Ball Ranch but I have great memories of that time and of your mother. Sending healing prayers and comforting hugs! I’m so sorry. You walked through this with me not so long ago. I will be praying for peace and strength in your spirit as you walk through this loss my friend. So sorry for the loss of your mom. Sending healing prayers as you go through this difficult time. Alan Kelly and family You are in our thoughts and prayers. Hope the good memories will help in the days ahead. Cynda and I were great friends the last few years. I enjoyed our conversations. No one kept me on my toes like her. She was so talented and caring. After she left our place, I went to visit her. She would get so excited and choked up. We would spend hours talking. Im so thankful to have had her be a chapter in my life. Our thoughts and prayers are with you and your family at this time. We didn’t know your mother, but are blessed to know her children. So sorry for your loss. Cynda will be missed. I cared for her at Friendship Villa. She did have many hobbies that she shared with me. Mom and I are keeping you in our thoughts during this difficult time.